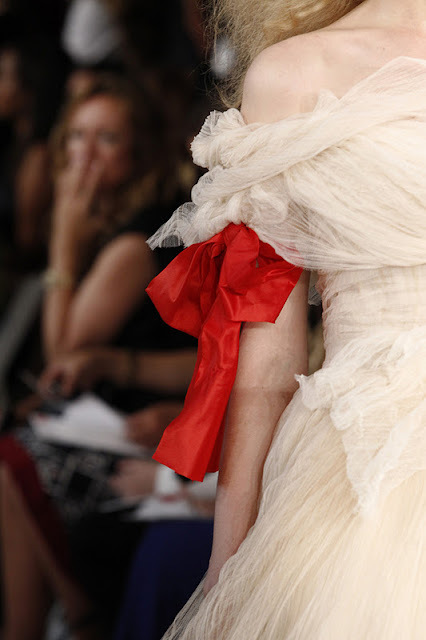 .....................but it was de la Renta fun. I will try it out on one of my fashionable friends. After all, nothing wrong with a little crazy fun now and again, especially when it comes to gift wrapping. Right? The Besotted Giveaway ends Tuesday evening. Winner will be posted this Wednesday. Oh Sande the photo's of that dress were some of my fav's of fashion week. I just adore your wrapping, the colors are perfect. Absolutely nothing wrong with a little crazy fun. 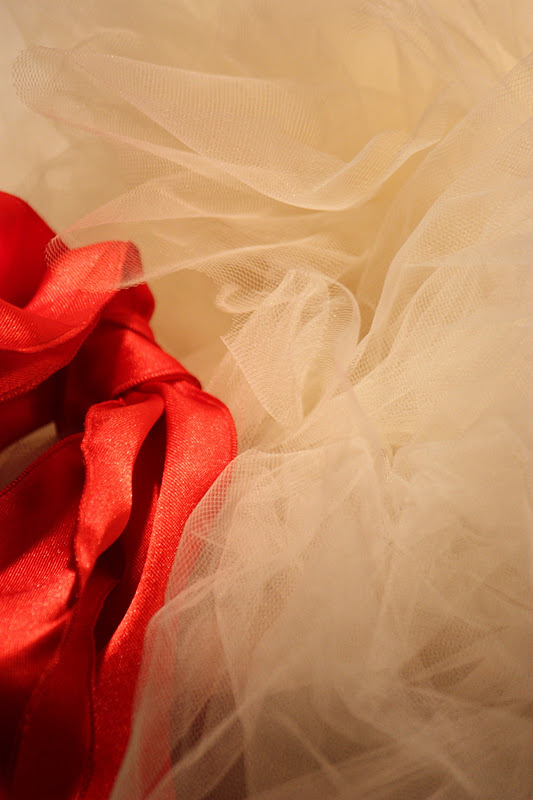 i am experimenting with various fabrics for our Christmas windows...may be a little tulle? I'm loving this in so many different directions there are no words! Ahh!! I so need to work for Oscar, he's amazing! Love the Oscar!! And lucky recipient of your creative interpretation!! if i received a gift wrapped with such exquisite creativity, i would be in heaven! BEAUTIFUL! Oh precious Sande, the effect is simply the same. Absolutely divine! 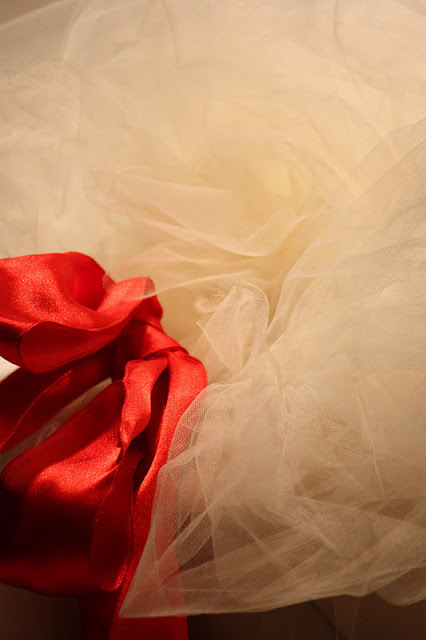 And, I LOVE the gift wrapping like this, might be the kind of crazy us girly girls just adore. So so pretty. What gorgeous inspiration...the gift looks amazing!! Of course not! That's a great idea! SU.PER.BE ! 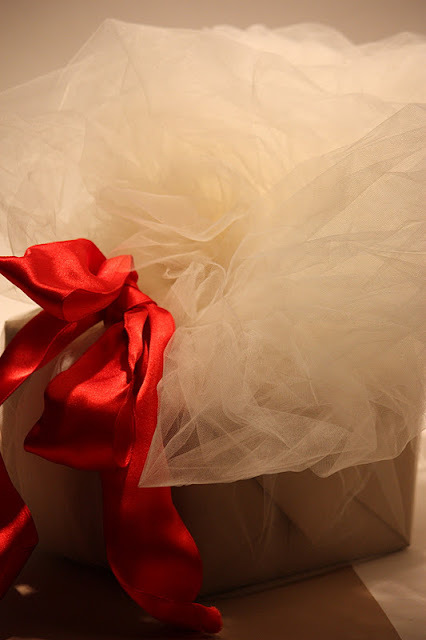 I LOVE the dress and ADORE the gift wrap. You are beyond brilliant! bravo et merci.